Wood Letter Art. 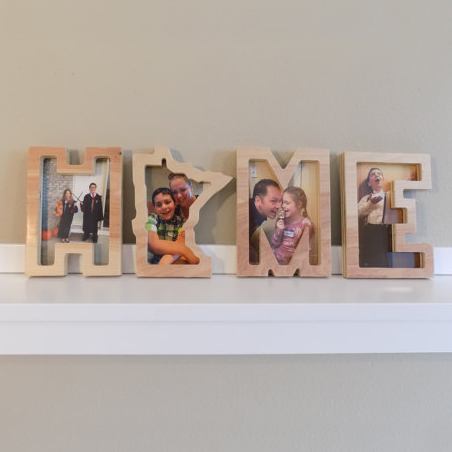 HOME letter frames that highlight the beauty of your favorite photos. Perfect for engagement photos, wedding photos and family photos.